With the weather changing for the better and the days becoming longer, this is as good of a time as any to get the family up and moving. It has been a long winter, and most of us have fallen into boring routines of being indoors binge watching Netflix or playing video games to stay out of the cold. Finally, spring is here, so it’s time to break those boring routines and switch it up! 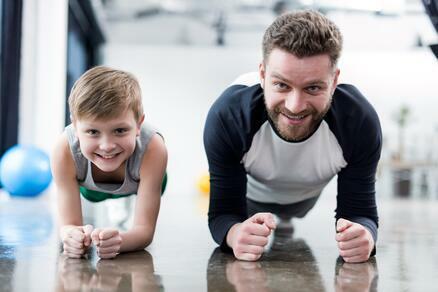 Motivating the family to be healthier can seem like a challenge. Some tricks I use to get my family back outside is just starting small. It could be walking the dog around the block. If that seems more like a chore, try making a trip to the park. Play with the kids on the playground or find trails to walk. Bike rides and participating in local 5K run/walk events can also be a great way to get the family back up and moving after long, dreary days! Getting the family to take a healthier approach is not just about physical activity; think of nutrition as well. This is a great time to restock the fridge with some of your favorite fruits and vegetables because most likely they are fresh and in season right about now. Fresh fruit and cold-cut vegetables are great to pack for family gatherings, picnics, and even school lunches. Slow approaches to getting the family into healthier habits gives them time to adjust to the changes and make them habits. A great way to change up their nutrition is trying a new fruit or vegetable at least once a week. This way everyone will be excited to try something different while also finding new foods that are nutritious. Motivating your family to be healthier does not have to be a challenge. Encourage fun activities that the whole family will enjoy. Starting healthy habits when children are young can help them keep these habits in the future. 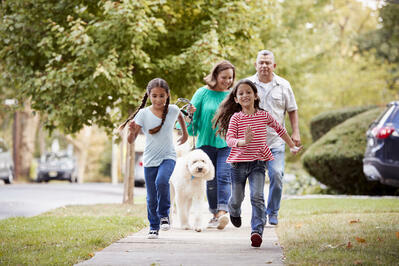 If not everyone is ready for exercise, try motivating the family to make healthier food choices. Finding common ground can be key to getting the whole family motivated. If one person gets motivated first, it could help fuel the rest of the family’s motivation to be healthier. What are your family's favorite activities to do together, comment below!